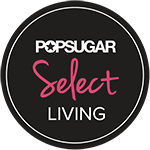 ← Placing a TV Over Your Fireplace – A Do or a Don’t? 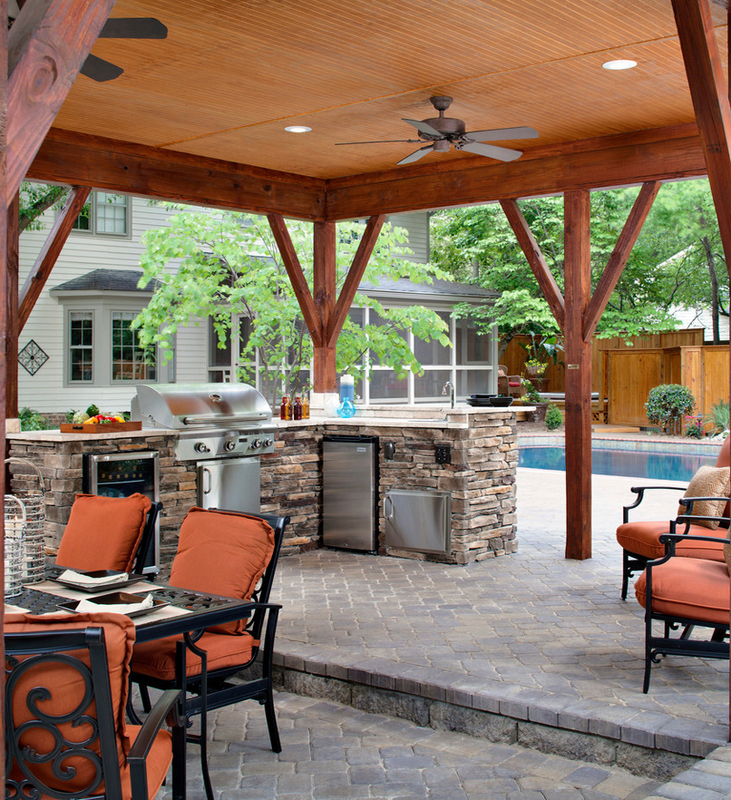 Make sure you choose heavy-duty surfaces for your outdoor kitchen to withstand all kinds of temperatures and climates. Stainless steel, stone, slate, tile, and stucco are all great countertop surfaces for your kitchen. Running into the house to throw something in the trash is something you don’t want to be doing at your next family barbeque. Don’t skip the essentials and plan a storage area underneath your countertops to store necessities like a trash bin, and baskets to hold napkins, glasses, sponges, and other cleaning supplies. Even the hottest summer days can have chilly evenings. The last thing you want to be doing is packing up and heading indoors. 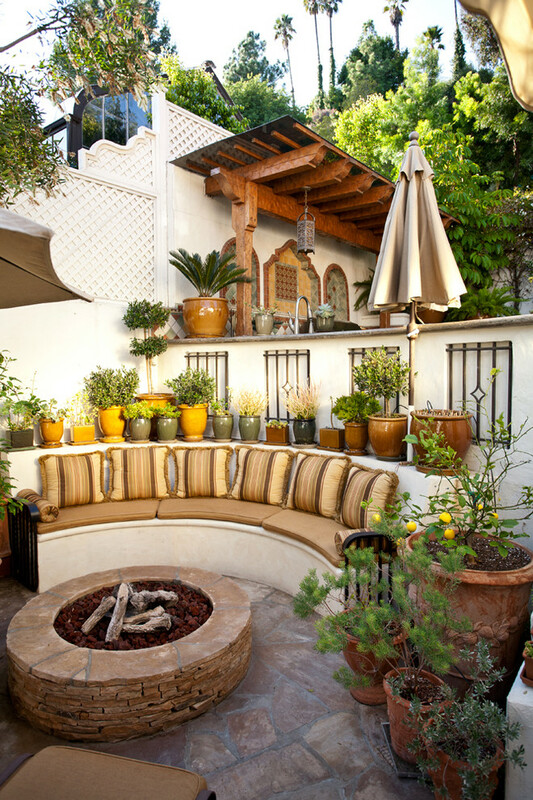 Install a big fireplace to keep warm and extend your outdoor party. 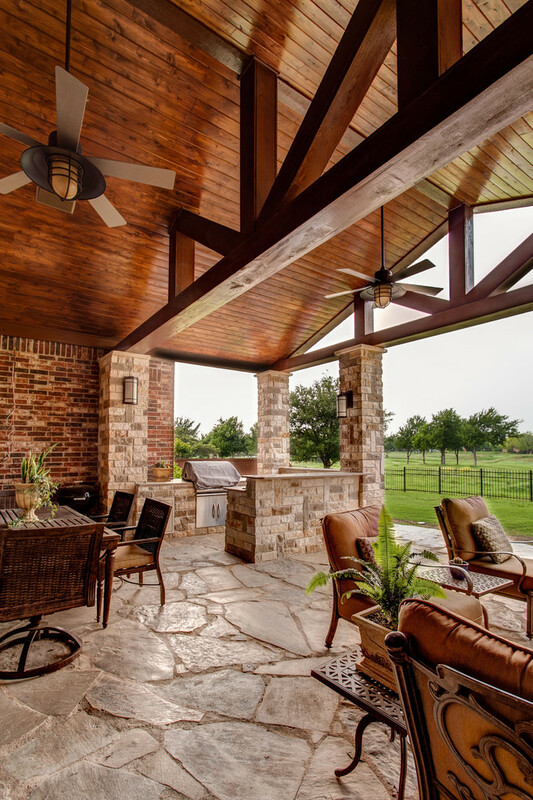 If you aren’t in the business of installing a built-in fireplace, opt for a fire pit or a charnwood stove. 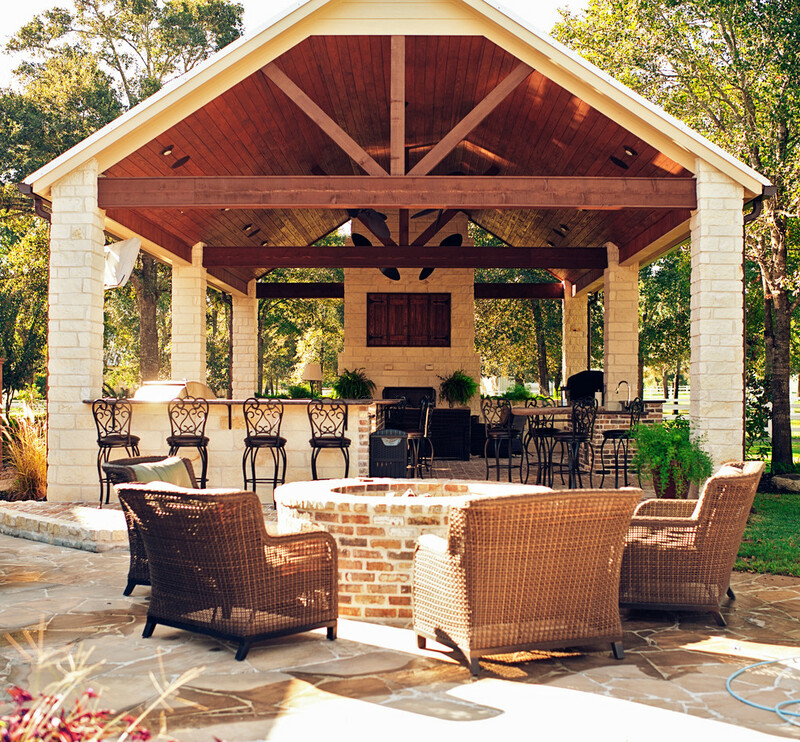 Extend those long, gorgeous summer nights as much as possible with the right type of lighting and ambience. 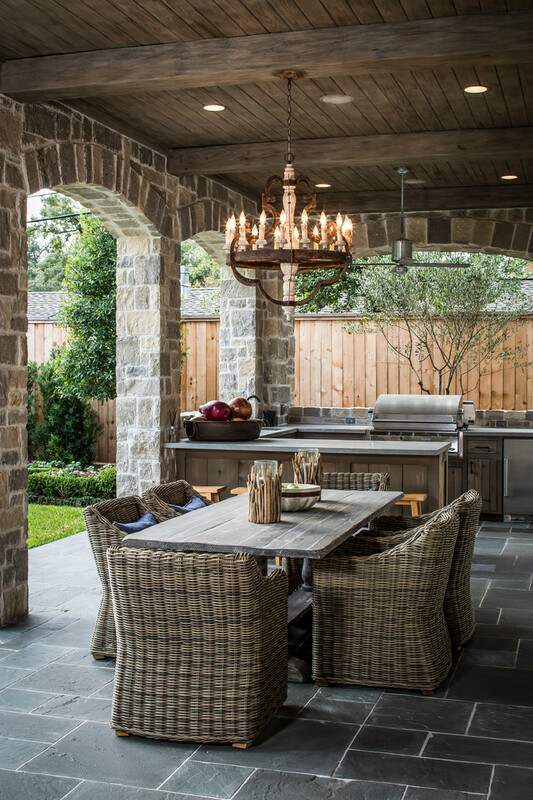 Soft overhead lights or twinkling chandeliers above the dining table or grilling area are key to creating the perfect intimate atmosphere outdoors. 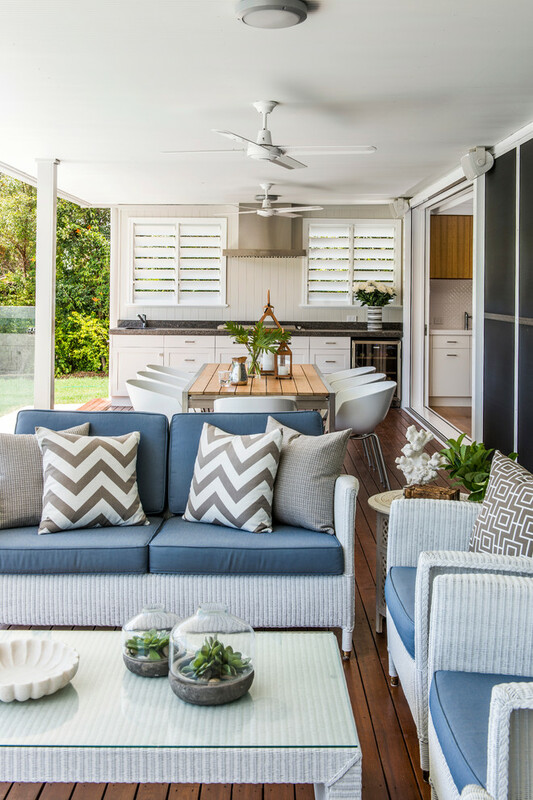 Choosing the right flooring is vital for an easy-breezy cleanup. 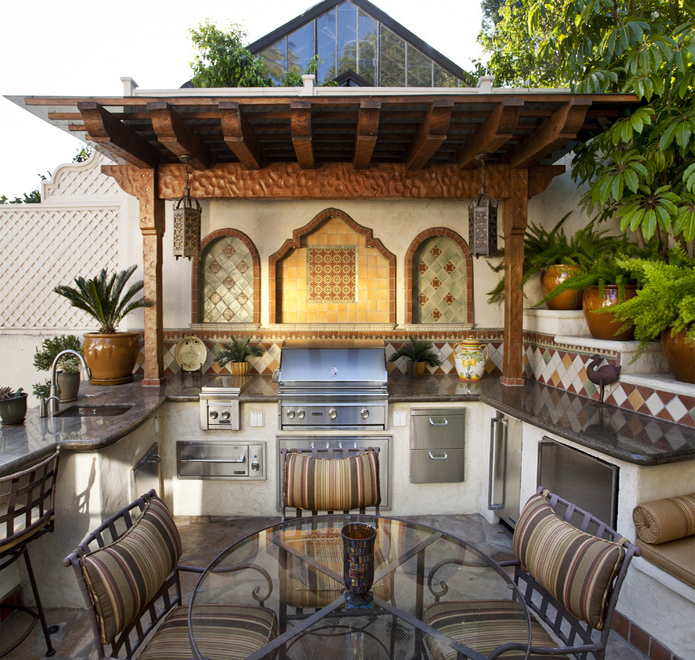 Tiles are the perfect choice for an outdoor kitchen since you can easily sweep up outdoor messes like garden debris, soil, leaves, and cut grass. 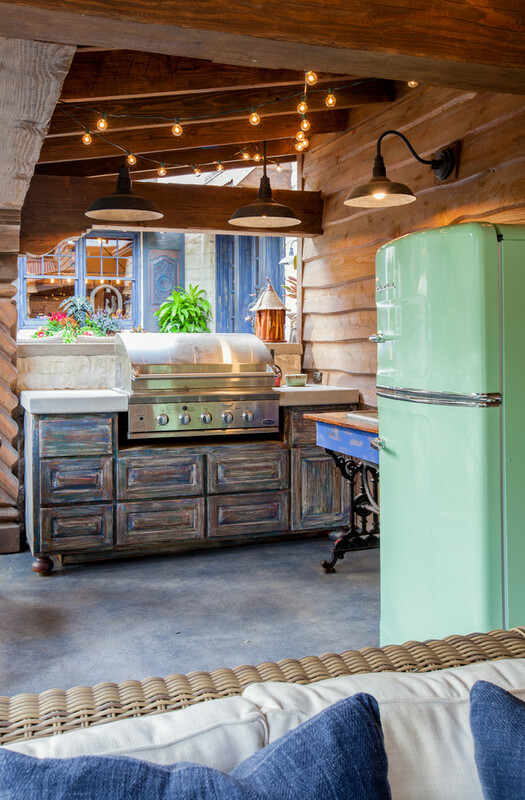 This entry was posted in Gardens, Kitchens and tagged barbeque, bbq, better decorating bible, blog, grilling area, how to, ideas, kitchen, outdoor, patio, summer. Bookmark the permalink.